A recercare, also spelled ricercar, is an intrumental composition common in the late Renaissance and early Baroque eras. The term means to "search out", often in the sense that the piece serves as a prelude which "searches out" the key or mode of the main work. Recercares also might explore permutations of a musical motif. This piece is inthe key of G major which has one sharp. The time is 3/4 and the tempo is Adagio. The duration of the music is about 50 seconds. 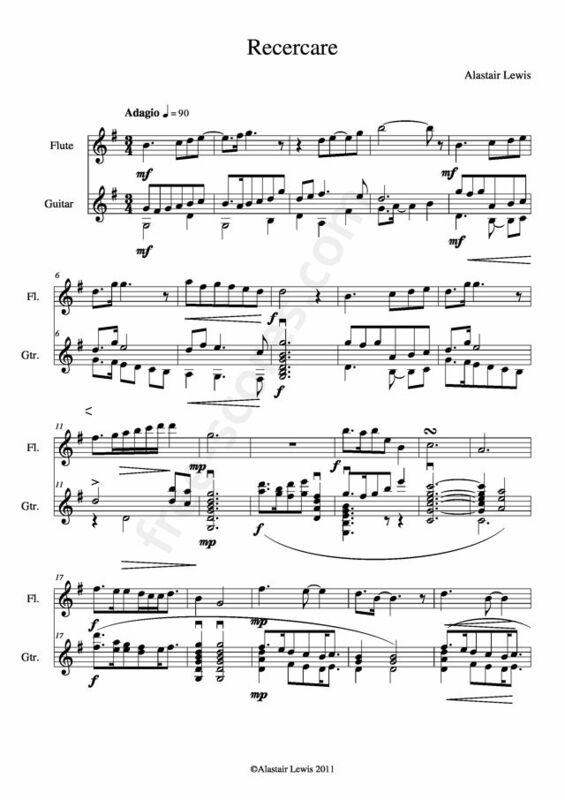 This free sheet music is for guitar and flute duet. Find a play-along version below.